The latest inspection report from the Care Quality Commission (CQC) has identified that two specific areas of staff refresher training 'Require Improvement'. The report, published in September 2016, graded the key areas of 'Is the service safe? ', 'Is the service caring?' and 'Is the service responsive?' at Southfield as 'Good'. Two areas were seen as 'Requiring Improvement' – 'Is the service effective' and 'Is the service well led?' - both of which allude to an issue of staff training. The report states "Staff had completed training but this needed to be refreshed". 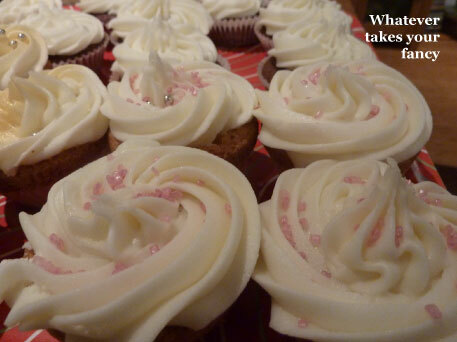 In detail, the report stated: "Staff told us they received enough training to help them support people effectively. Staff had received training in a range of topics, including for example, emergency aid awareness, fire safety, moving and handling and food hygiene. We noted, however, that there were gaps in refresher training. For example, safeguarding vulnerable adults training should have been updated in December 2015 for all staff but only a small proportion had received this training. We also saw that infection control training had not been refreshed for all staff since 2014. This meant that although staff had received training, current best practice may not have been followed." In response to the findings, Southfield managing director Joanna Lingwood said: "We're very proud of the quality of our staff and intently aware of the need for constant training, which we've been implementing via on-line resources. However, as we now know that this method does not meet the CQC's latest stringent guidelines, we have addressed these issues across the board with all our staff assessed on a continual basis to ensure that all the latest practices are being followed." Four of the five new beds are enabling us to grow our own vegetables and our first year has seen a bumper crop, yielding potatoes, beetroot, onions, carrots, leeks, beans, peas and lettuce amongst the home-grown harvest. Flowers are grown in the central fifth bed, providing a vibrant display as well as decorations for our dining tables. Southfield owner Niel Lingwood was behind the initiative and commented: "There's nothing like fresh ingredients to enhance a home-cooked meal and these vegetables are as fresh as they come. We're also able to gather fruit from our own trees to incorporate in our desserts," he continued, "and we know our residents appreciate the results". 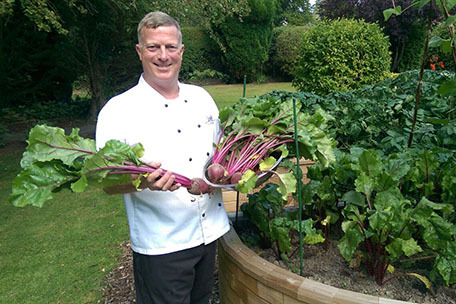 Southfield head chef Colin Wellburn harvests fresh beetroot from the new raised beds. Owner, Niel Lingwood inspects the latest crop in the Southfield garden. 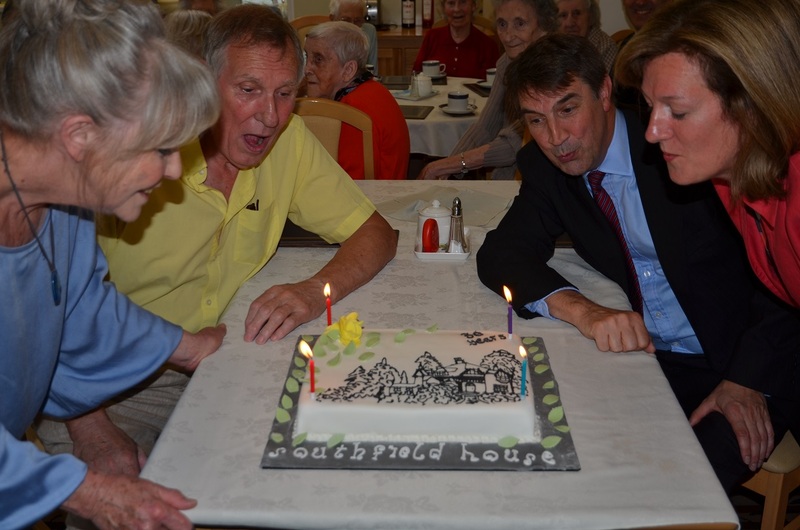 Southfield is celebrating 30 years as a dedicated residential care home. The house was originally transformed from a family home and developed to care for the elderly in 1985 by then owners David and Marita Blackwell. The couple converted and extended the original 90 year old property in 1992 into a purpose-built care home to tend to the needs of 15 residents. In 2000, the home was acquired by current owners Niel and Joanna Lingwood, with experienced nursing professional Joanna becoming managing director. Over the past 15 years they have extended and developed the home further, including the incorporation of their own former family home, Norwood, into a dedicated facility for 'assisted living'. Today, Southfield provides a haven for some 23 residents and employs 25 qualified carers and catering professionals. It sits amongst a number of large detached residential properties adjacent to Woodford Park Garden Centre, within almost an acre of its own landscaped grounds. Commenting on the milestone, Niel Lingwood said: "David and Marita had already established a home with an excellent reputation when we took over from them in 2000 and we're proud to have been able to continue this legacy and develop the home still further over the years. Of course, our prime objective is to provide the highest standards of care for our residents," Niel continued, "and for this we are indebted to our staff, some of whom have been with Southfield for more than 17 years". Southfield owners Niel and Joanna Lingwood (right) celebrate 30 years of care at the home with previous owners David and Marita Blackwell (left). 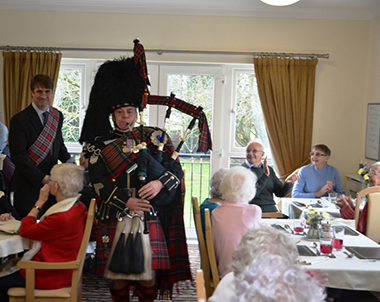 Customary Burns Night celebrations were transferred to lunchtime at Southfield in Woodford when 23 residents and their guests were treated to a traditional Scottish menu prepared by the catering team. The diners enjoyed a main course of haggis, neeps and tatties with a whisky sauce followed by Cranachan, a traditional Scottish dessert of oats, cream, whisky and raspberries which is a delicious alternative to trifle. In time honoured fashion, the haggis was 'piped in'. Southfield owner Niel Lingwood introduced the lunch and commented: "We feel it's important to keep up our great British traditions, especially when it gives us the opportunity to sample such excellent fare." Niel concluded: "I'm sure everyone enjoyed our Burns lunch, even those who weren't adventurous enough to try the haggis and chose slow roasted pork loin instead." The haggis for the Burns lunch is piped in at Southfield, followed by owner Niel Lingwood. 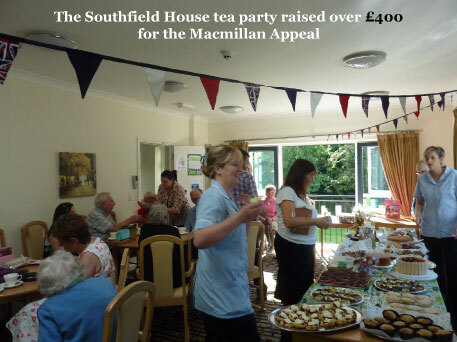 A charity afternoon 'tea party' at Southfield raised over £400 in just two hours for the South & Central Manchester Macmillan Appeal. 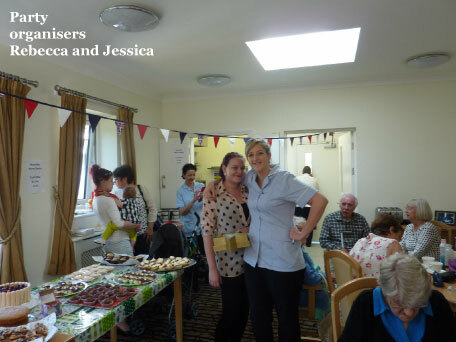 Held on Friday 27th September, the event was attended by over 60 people who enjoyed tea and cakes, took part in tombola, bought cakes and fruit donated by the care home staff, residents' friends and family. The event, which was organised by care home assistants Rebecca Ramsden-Smith and Jessica Murphy, was seen as a great success by Southfield managing director Joanna Lingwood, who commented: "It's the first time we've held such an event and we're delighted with the support we received. In addition to our current residents, their family and friends we were also able to welcome back families of residents we've previously cared for, the families of staff and our neighbours who all entered into the spirit and gave generously to this worthy cause." In Greater Manchester more than 13,000 people are diagnosed with cancer each year and Macmillan Cancer Relief provides help and support from diagnosis throughout their illness. The South & Central Manchester Macmillan Appeal was launched to raise funds to extend and enhance local cancer care in the area to meet increased demand. Following the successful establishment of our Norwood assisted living accommodation, investment at Southfield has continued apace. The latest developments include another new bedroom and upgraded facilities for both residents and staff. Southfield's new bedroom is on the ground floor and is to a superior specification, including en-suite wet room facilities. There is also an additional new assisted toilet on the ground floor. 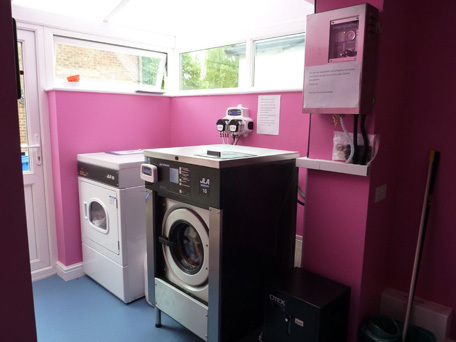 Our existing on-site laundry has been extended to cope with increased demand. The impressive new resource is state-of-the-art, including an eco-friendly commercial washing machine and energy-efficient gas tumble drier. This will enable us to provide an even more efficient service to residents as well as making life easier for our staff. Staff are also benefitting from the creation of a new ground-floor office, which has improved the day-to-day management of and communication around the home. Managing Director Joanna Lingwood commented: "We're continually reviewing the facilities we offer to ensure that we can provide the highest levels of service to our residents and working environment for our staff." Joanna continued: "These latest developments will provide all-round long-term benefits that are already being enjoyed by residents and staff alike." 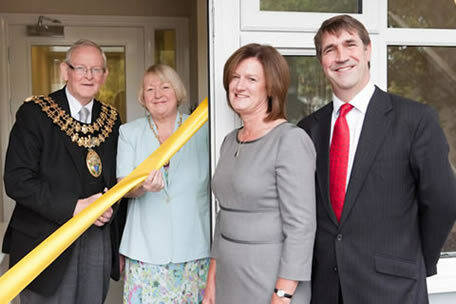 Our new seven bedroom 'Assisted Living' extension was formally opened by The Worshipful the Mayor and Mayoress of Stockport (Councillor Les Jones and Mrs Jackie Jones) on September 23rd 2011. The opening formed the focal point in a two day event which enabled seniors and their families to view the newly created facilities at 'Norwood' for the first time. Visitors to the event were able to view a brand new dining room, lounge, new kitchen facilities and a state-of-the-art assisted bathroom in addition to the seven new en-suite living rooms, two of which were fully fitted out as 'showrooms'. They were also offered the opportunity to choose from a range of furniture and carpets. Commenting on the success of the opening, Southfield managing director Joanna Lingwood said: "The opening of Norwood was the culmination of many months of hard work and to have the Mayor and Mayoress here made it extra special." Joanna continued, "These new facilities have been designed specifically for those senior people who prefer to continue an independent lifestyle yet with the security and peace-of-mind that there is care on hand if needed. What makes it so different", she concluded," is that it's a real home, after all it's been my family home for the past 10 years." The Worshipful the Mayor and Mayoress of Stockport (Councillor Les Jones and Mrs Jackie Jones) seen here with Southfield owners Joanna and Niel Lingwood as they formally open our new seven bedroom extension.